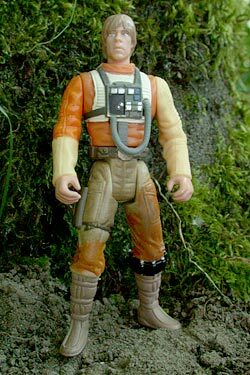 This is an unfinished custom of Luke just after crashing on Dagobah. His flight suit is the same one he wore on Hoth, which includes the heavier orange jacket with ribbing on the arms. Parts include: X-Wing Luke torso and head, Yavin Luke arms, Bespin Luke waist and legs.